The tagline "one codebase, every smartphone" pretty much says it all. RhoMobile offers Rhodes, an open source, Ruby-based framework that allows for development of native apps for a wide range of smartphone devices and operating systems. OSes covered include iPhone, Android, Windows Mobile, RIM and Symbian. The framework lets you write your code once and use it to quickly build apps for every major smartphone. Native apps are said to take full advantage of available hardware, including GPS and camera, as well as location data. In addition to Rhodes, currently in its 2.0 iteration, RhoMobile offers RhoHub, a hosted development environment, and RhoSync, a standalone server that keeps app data current on users’ mobile devices. When we polled Twitter followers for recommended cross-platform tools, Appcelerator stood out as a fan favorite. Appcelerator's offerings also include customizable metrics for actions and events. App data can be stored in the cloud or on the device, and apps can take full advantage of hardware, particularly camera and video camera capability. This platform includes project management, source code editing, debugging, collaboration, versioning and distribution. 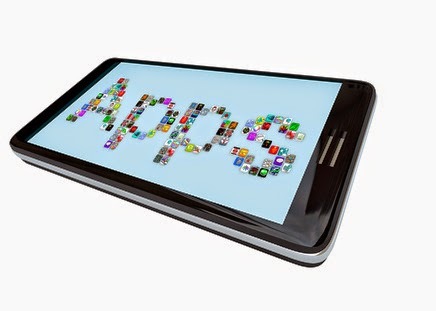 It can be used to create apps for OSes such as iOS, Android and WebOS. WidgetPad is currently in private beta; you can contact the creators for access. The company offers a cross-platform simulator (an Adobe AIR app), as well as online training sessions to help you access native APIs and build functioning mobile apps on the PhoneGap platform. The framework supports a large number of OSes, including Android, Symbian, Windows Mobile and even Moblin, a mobile Linux distro. Currently, support for iPhone is present in the nightly builds and will be integrated in early Q3 with the release of MoSync 2.4. BlackBerry support is coming later this year, as well. If you're not a mobile developer and you've made it this far, first of all, bless your heart. Second, you might be able to enjoy the same cross-platform publishing benefits as your coding buddies with this tool. We can almost guarantee your efforts won't be nearly as polished, bug-free, customized or functional as something you could create with one of the five platforms above, but Whoop just might be worth a try. The Whoop Creative Studio is a WYSIWYG web editor that allows you to drag and drop mobile app elements to your heart's content. Once you're done, you can export your app in formats for several devices and operating systems, including iPhone, Android, RIM, Windows Mobile and other OSes.